The National Trust and its partners are pleased to present a renewed and revitalized Cooper Molera Adobe—a historic site that honors and interprets its diverse history while providing new opportunities for the public to experience this unique cultural setting. The Cooper Molera Adobe is one of the most important historic properties in Monterey associated with the Mexican Republic and early American eras, but its rich history continues into the present with a new vision for how historic sites serve their communities and support themselves. Frances Molera, the granddaughter of John and Encarnacion Cooper, who build this house, willed the property to the National Trust for Historic Preservation in 1968. for the next 30 years, the property was restored and operated by California State Parks as part of Monterey State Historic Park. Today, the National Trust has assumed the management of the property, joining with Foothill Partners and local stakeholders to create an innovative shared used operating model for the property. Working together, they have injected new life and purpose into the Cooper Molera complex. Now, interpretation and education are integrated with commercial uses in adaptively reused historic buildings throughout the property. A part of the revenue generated by these businesses helps to preserve the property and support the programs and exhibits in the Diaz and Cooper Adobes. Cooper Molera’s historic barn complex, red-tagged for seismic risks for more than a decade, has been fully retrofitted and re-clad in new redwood siding (with the original siding preserved in the interior). The Barns at Cooper Molera have been transformed into a state-of-the-art event center, while retaining their historic finishes and original character. Our commercial partner, Events by Classic, has a long and successful history of hosting public and private events in Monterey—and now offer the Cooper Molera barn complex as one of the premier event sites in the area. Visit The Barns at Cooper Molera here. The Corner Store at Cooper Molera, soon to be occupied by the Alta Bakery and Cafe, is a Monterey tradition. First operated as a general store by Captain John Rogers Cooper, later operated by Nathaniel Spear, then Manuel Diaz, Honore Escolle, and Augustine Manuel, this adobe structure has seen many commercial uses. But one of its most memorable uses was as the original location of Monterey’s first commercial bakery, the Pioneer Bakery. It was established by Honore Escolle and continued in different locations in Monterey until well into the 20th century. 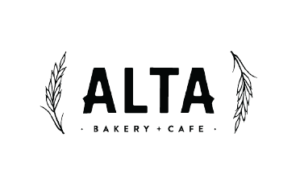 That tradition continues today with the Alta Bakery and Cafe, which will provide the same quality of hand-crafted baked goods and accompaniments as has been enjoyed by generations in Monterey. Visit Alta Bakery and Cafe here. The historic Spear Warehouse and its adjacent outdoor courtyard at Cooper Molera will soon open as Cella Restaurant (pronounced “Chella,”—Latin for warehouse). This building was Nathan Spear’s warehouse in the 1830s, but it has served many functions over the years, from a Boy Scout meeting space to a dance studio, and (quite appropriately) in its early years as a fonda or public inn. Retrofitted in the 1980s as an audio-visual exhibit space and collections storage area, it is now restored to an open warehouse configuration, which will perfectly accommodate Monterey’s newest restaurant. Cella will focus on locally-sourced produce and California cooking that reflects Cooper Molera’s multicultural influences. The adjacent outdoor courtyard will accommodate more diners in a beautiful garden setting. 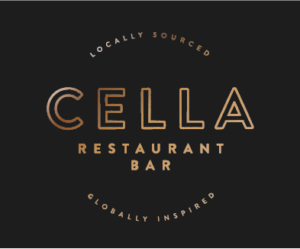 Visit Cella Restaurant & Bar here.